Sarah Ramsden is the leading Personal Coach helping people who’ve recovered from major health issues, make the most of their second chance in life. As good as it is to feel better, life doesn’t always go back to the way it used to be, because major health issues change more than medical records, they change YOU, and that’s what her work is all about. As a brain tumour survivor and someone who manages multiple sclerosis naturally, she knows EXACTLY where her clients are coming from! 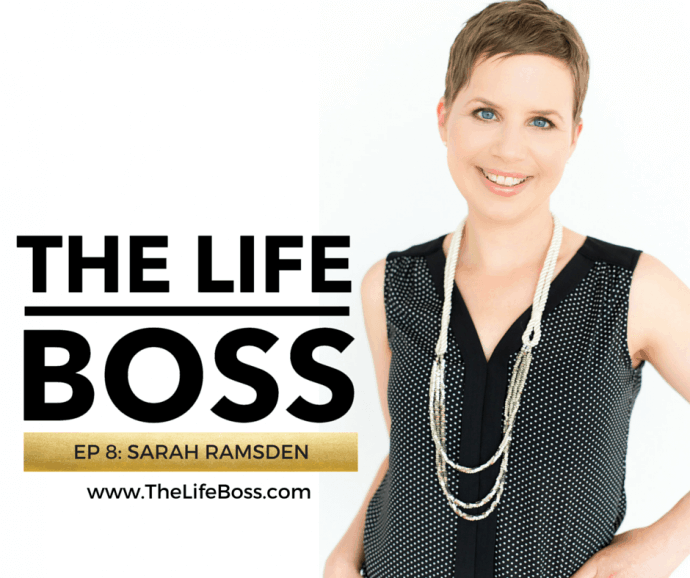 Sarah shared with us in this episode her journey with her career and her illness and how this ended up changing the trajectory of her career. She was a high-level graphic designer when she was diagnosed, and inspired by her illness and the impact on her life she became a nutritionist and holistically-minded. She truly believes that when you’ve fought a big fight – you need to go live a BIG LIFE. She helps people redesign their life to make it exactly what is right for them now. You get to choose who you want to be. Health issues don’t just change who you are on your medical records, but they truly change YOU. Sarah shares with us tips on how to reduce the stress in your life, and other suggestions on improving your business, whether you have dealt with an illness in your past or not. Your health is the foundation of your business.